Porsha Williams has a new look that we’re used to seeing on Wendy Williams. During a visit to “Watch What Happens Live” with Andy Cohen, the housewife rocks her a blonde hair color while revealing that she thinks that her friendship with co-star Nene Leakes can be repaired. The first three episodes of “Real Housewives of Atlanta” have revolved heavily around the feud between Porsha and Nene. This was ignited when Leakes tried to give Williams advice on controlling her temper on the reunion show for “Real Housewives of Atlanta” two years ago. Porsha felt that Nene should have pulled her aside to say what she wanted to say instead of doing it on such a public platform but Nene insists that she was only trying to help. Do y’all want to see Nene and Porsha fix it or…. ??? 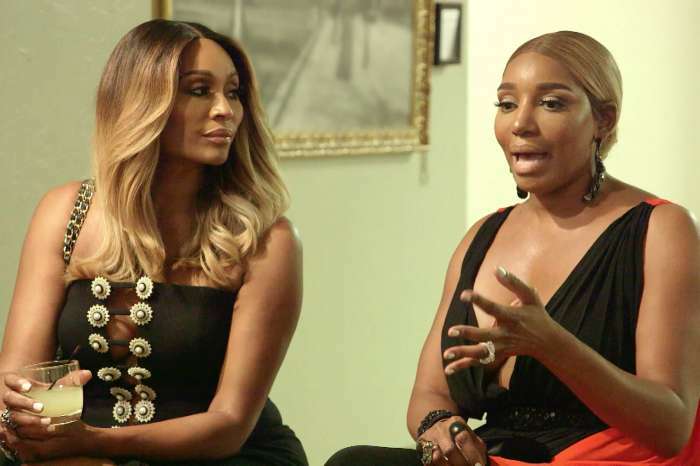 The frenemies confronted each other at Cynthia Bailey’s 50th birthday party and if you watched the season ten premiere you’d know that it didn’t go well. On November 19, Porsha appeared on “WWHL” and what she said about a potential rekindling of the friendship between her and Nene may surprise you. The two Georgia peaches were extremely close at one point. Nene was one of the only ones to welcome her into the group when she was shy and still married to Kordell Stewart. Hopefully, the ladies will be able to resolve their issues soon. Do you think they should forgive each other? Do you like the blonde hair on Porsha? So, Porsha has finally figured out that her being on Nene’s bad side is a bad idea. Most of the women are fine with or without Nene’s approval. But Porsha doesn’t have the maturity, smarts, or life experience to win in the head games big leagues. Therefore, Porsha needs to get on Nene’s good side before Nene manipulates Porsha out of a job. You are so right, I was thinking the exact same thing. Portia needs Nene to like her.